An antimony holder, or sirmadan, in the form of a fish. Antimony is used in many parts of India as eyeliner for cosmetic purposes but is also considered to be a coolant that strengthens and protects the eyes from the sun. 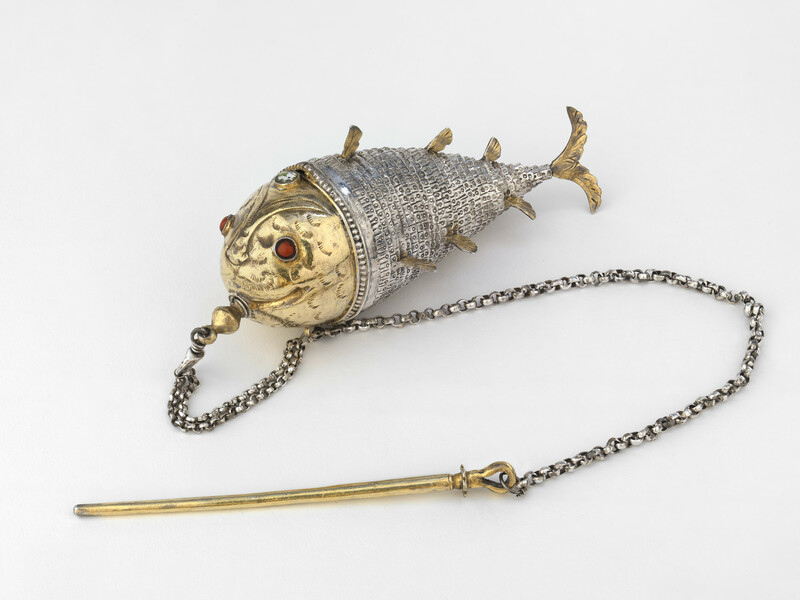 The body of the fish, which acts as the container for the antimony, is articulated and the head of the fish has a screw stopper in the mouth that is attached to a chain and silver-gilt rod used to apply the antimony.